Discover and join us to make one of the biggest European League of Legends tournament yet come true! This event was imagined by Chips and Noi, the men behind Kings of Europe and IronSquid. The best European League of Legends gamers are invited. 10 teams will fight through three sets of online qualifying matches (live in HD on Twitch). Only the best will compete during a final showdown in Paris, at the Casino de Paris, on November, 11th in front of 1500 people! The event will be hosted by Chips and Noi in French and by Deman and Jatt in English. This project runs on a limited time frame. We indeed need to gather the budget before the first online game, on October 25th. However, My Major Company enables us to top the 80 000 € gauge. 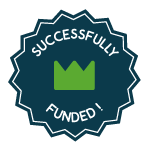 If we reach 100 000 €, guests and surprises will make Tales of the Lane even bigger and more fun! To thank you for your support and for making this project come true, Chips and Noi and My Major Company imagined an exclusive set of rewards for you ! Even for a small contribution, you'll benefit from the live in HD on Twitch. You'll also receive the Tales of the Lane score by In Uchronia in HD! Have a first listen with "The Hidden Guardian"! Another reward is the exclusive Tales of the Lane T-Shirt, to show the world you participated in the event! For instance, benefit from the VIP experience: premium visibility and premium access. The Chips and Noi team have at heart to personally thank outstanding contributions. As « co-producer », come to the studios and attend the recording of one of the Tales of the Lane broadcasts. As « Great Summoner », receive a replica of the tournament's cup. Your name will be written within the great book of Tales of the Lane! Finally, for companies and associations, become a sponsor of Tales of the Lane. As such benefit from premium visibility on the stream, drung the tournament and on the event's credits. Thanks for making Tales of the Lane come true! 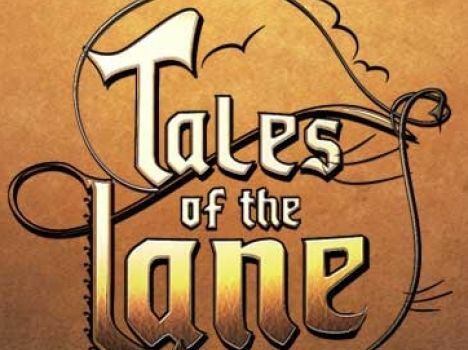 Enjoy the whole Tales of the Lane event live in HD on Twitch, in 720p and 1080p! 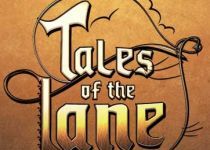 Enjoy Tales of the Lane live in HD and receive a digital copy of the Tales of the Lane score in HD, created by In Uchronia. Enjoy Tales of the Lane live in HD, the score and an exclusive Tales of the Lane T-Shirt ! Come and enjoy the final at the Casino de Paris on November, 11th ! 1000 bought, 0 available, maximum 1 per user. Enjoy Tales of the Lane live in HD, the score, the exclusive T-Shirt and a VIP access to the final at the Casino de Paris (premium visibility and access) ! 270 bought, 0 available, maximum 1 per user. Enjoy all of the previous rewards and the privilege of using the Troll Wheel at any moment during the live TOTL events ! 5 bought, 5 available, maximum 1 per user. 2 bought, 13 available, maximum 1 per user. Benefit from all the previous rewards and receive a replica of the Tales of the Lane cup ! Your name, first name and pseudonym will be written within the Great Tales of the Lane book, alongside the winners ! 1 bought, 4 available, maximum 1 per user. Enjoy all previous rewards and benefit from special exposure for your brand or association on the event’s stream and credits !